It took two years, but Night Lizard Brewing Company has finally opened on State Street. John and Nancy Nasser opened the brewery on Wednesday to large crowds and many pints of beer. “I am really excited to finally get it open,” said John Nasser, who was working the bar on Thursday with a big smile on his face. The company plans to donate a portion of its sales to environmental causes. “If we can make great beer and make a buck and give some back, that's a good day,” John Nasser said. Nasser used to work for Johnson & Johnson, and then Amgen, but left behind the pharmaceutical industry to follow a dream. The brewery has seven beers on tap, but will have 14 soon. 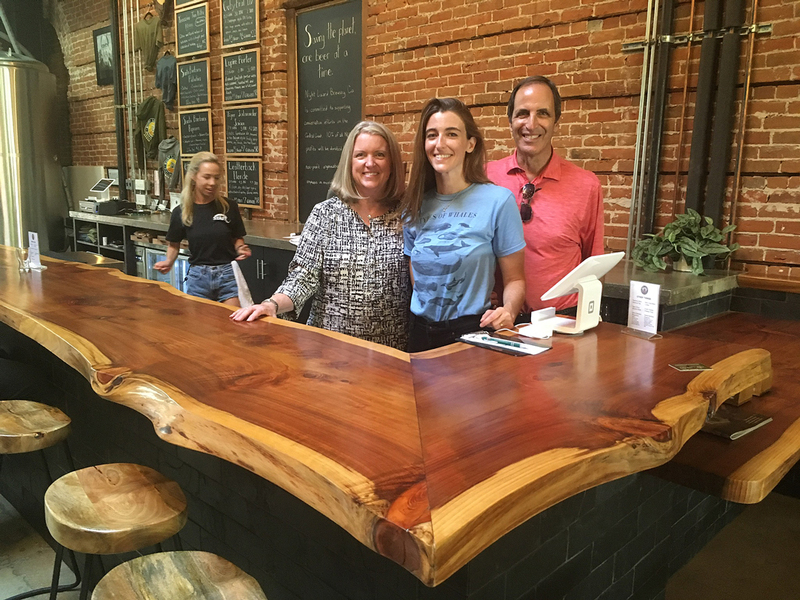 His daughter, Meg Nasser, was also busy working the bar, serving pints the first week.